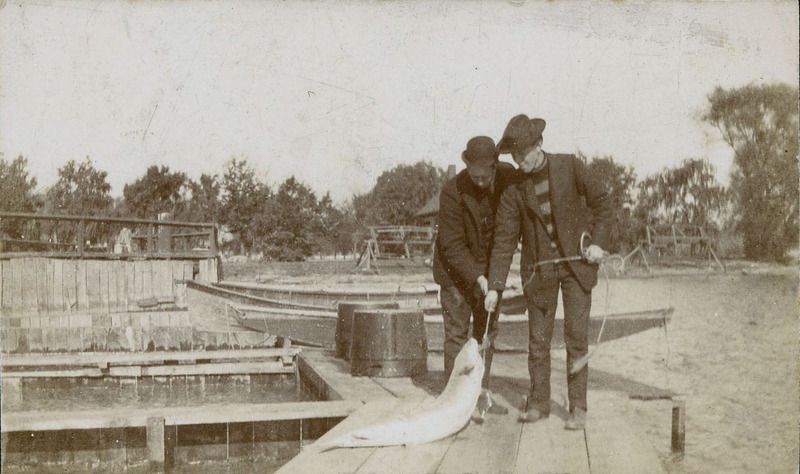 From just a handful of photographs collected by his great grandfather in the 1920's, the Steffke Memorial Maritime Collection has grown into one of the most significant and focused privately held archival collections in the country. Steffke's great-grandfather, a former employee of the Detroit Shipbuilding Company and the Great Lakes Engineering Works began searching for photographs of the various "Lakers" he helped construct during the shipbuilding boom of World War I. From that modest start, Keith M. Steffke, over the period of more than three decades, has methodically sought out and purchased anything related to his goal of preserving, documenting and interpreting the Maritime History of the Southeast Michigan region. From single pieces of letterhead of now defunct shipyards to entire corporate records of some firms, this collection's main focus has been to show the transition of the wooden shipbuilding era into that of the modern steel shipbuilding age. As the collection has grown, so has its focus, which now encompasses all things related to the historically diverse maritime interests of the area. 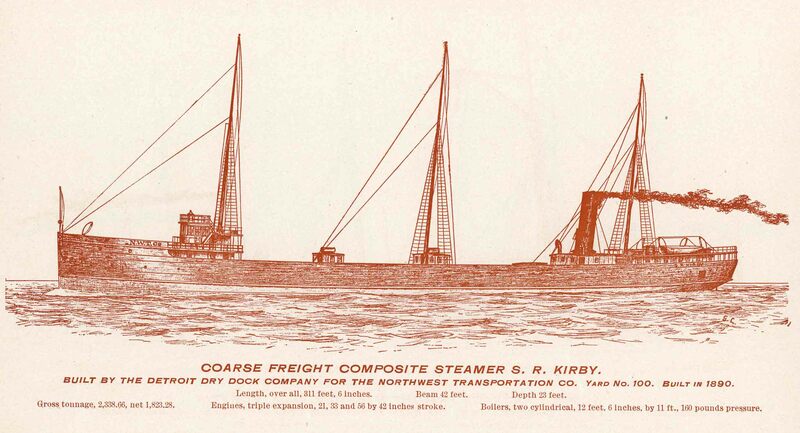 Initially, the collection was begun to document Steffke's interest of the branches of his family's genealogical connections that were engaged in various maritime industries of the region. His research revealed that branches of his family have lived along the Detroit River for over 200 years. It is not surprising that many generations of his ancestors were directly involved in the various maritime industries that once thrived along its shores: lighthouse keepers to commercial fishermen, lumbermen & log boom men, sailors (from the lowest deckhands to full Captains), marine engineers, dredge men, canal diggers, surveyors and most importantly - shipbuilders, of both the wood and metal varieties. 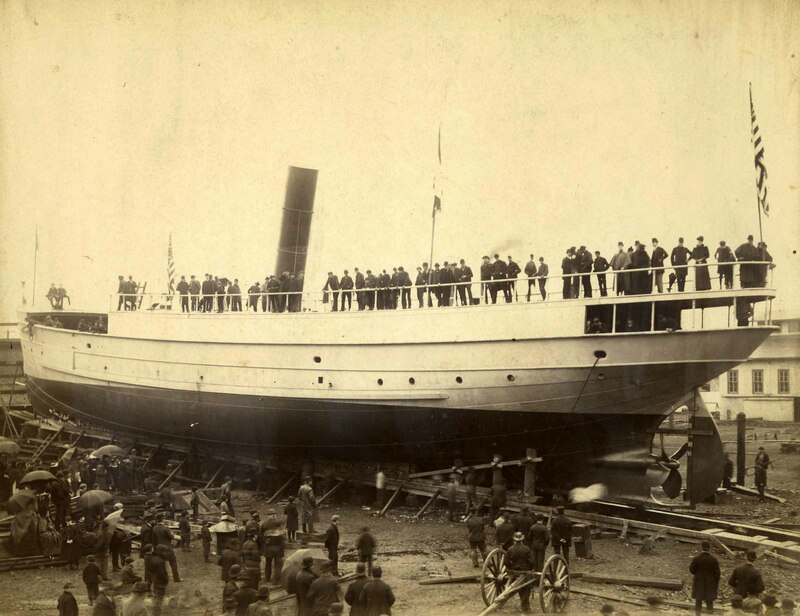 His family's involvement to help initiate the first pioneer iron ship building works, constructed at Wyandotte, Michigan in 1870, prompted his research for traces of records of these long lost shipbuilding firms. As one company was documented, he moved to the next on his list. Meticulous files are devoted to every shipbuilder of the region, and each vessel that they produced - from the smallest wooden pleasure boat builders, to the great steel shipbuilding yards of the last century. Special attention has also been spent in documenting the actual shipbuilding techniques and technologies used in the construction of these vessels. It could be said that Steffke is more interested in the engineering, innovations, economic activity and even the social impact of the shipyards on their area communities, than in the ships themselves. Though with over 3,500 individual files, the boats these early shipwrights produced are certainly not ignored! The Detroit & St. Clair River regions and the Saginaw River Valley have had an inordinate number of unique builders of ships since the turn of the 18th to the 19th century. While some of these shipyards employed hundreds of men on any given vessel, some "yards" were merely a flat piece of shoreline where a single family would build only a vessel or two and run them as the family business. He has documented both the largest and most obscure "builders of boats", in his archival collection and eagerly tries to acquire any documents of importance for these many firms. Because of his efforts, many important archival collections related to the historic Wyandotte Iron Ship Building Works, Detroit Dry Dock Co., Detroit Shipbuilding Co., Linn & Craig Shipyard, John Craig & Sons, Capt. A. A. Turner shipyard, John P. Clark shipyard, Great Lakes Engineering Works, Jenks Shipbuilding Co., the Samuel Ward, Jacob Wolverton, Simon Langell & David Lester shipyards and the F.W. Wheeler & Company, James Davidson shipyard and the Saginaw Shipbuilding Company (and other builders of the Saginaw River Valley) have been secured and preserved, documenting this once thriving industry that would have otherwise been lost. The smallest yards, of frequently short-lived local builders of wooden and steel pleasure craft are included in this comprehensive collection. Steffke has been successful in tracking down records of the Bryan Brothers Boat Works, the Davis Boat & Oar Works, the Detroit Boat Works, Detroit River Boat & Oar Co., the Wyandotte Pleasure Yacht Company; the Liggett, Church & Purdy boat and yacht building firms of Trenton, Michigan; who are among many of the better known builders of small craft in the collection. The archival collection now contains over 65,000 original photographs, 3,000+ rare maritime reference volumes, many linen positives & blueprints from the original builders, half-hulls models, period maps & charts, personal diaries, corporate records, maritime artifacts, early films, recordings and related materials, all documenting some aspect of the maritime history of the region. 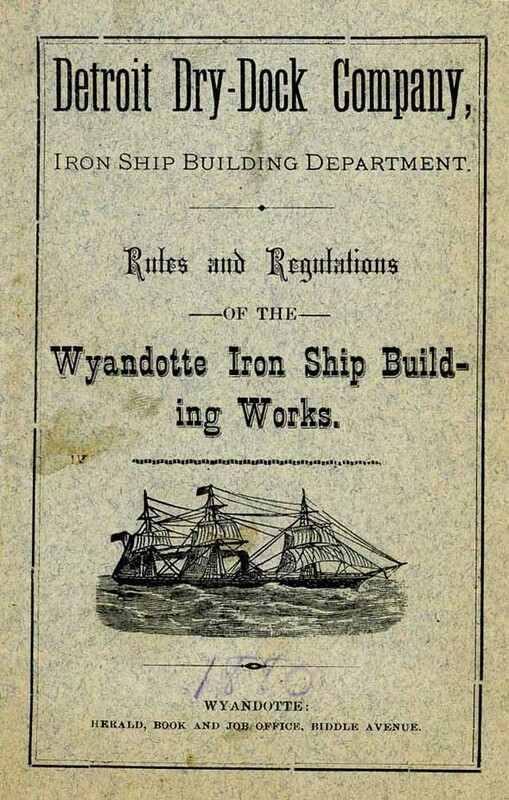 The shipbuilding industry is the center of collection, but important documents and papers related to the United States Lighthouse Service, U.S. Lifesaving Service, U.S.Revenue Marine, local and regional commerical fisheries, histories of the various islands of the Great Lakes (with those of the Detroit & St. Clair Rivers, leading), and records of shipwrecks and related disasters are also sought and preserved. Steamship companies that were headquarted in Michigan are of special interest; the fleet of the Ford Motor Company, Nicholson Universal Steamship Co., Nicholson Terminal & Dock Co., McCarthy Steamship Co., Browning Steamship Co., the Detroit Belle Isle & Windsor Ferry Company, the White Star Line, the Detroit & Cleveland Steam Navigation Co, the Chicago, Duluth & Georgian Bay Line, and the Ashley & Dustin Steamship Lines are heavily represented in the collection by logbooks, seasonal time-tables & brochures, cruise promotional souvenirs, graphic and advertising art and other related ephemera. While materials related to the river & Lakes, the shipyards, and the steamship lines are interesting in their own right, the biographies of the men behind them are sometimes even more challenging to document. Steffke has amassed large portfolios of the personal papers of the men who have helped change the maritime industries of the region. Industrialists such as Captain Eber B. Ward, the Russel Brothers & Henry Ford, naval architects Frank E. Kirby, Washington I. Babcock & Henry Penton and shipbuilders Alvin A. Turner, John Owen, Robert Linn & John Craig, brothers John P. & George Clark, James Davidson, and Frank W. Wheeler, are some of the colorful personalities documented in the collection. 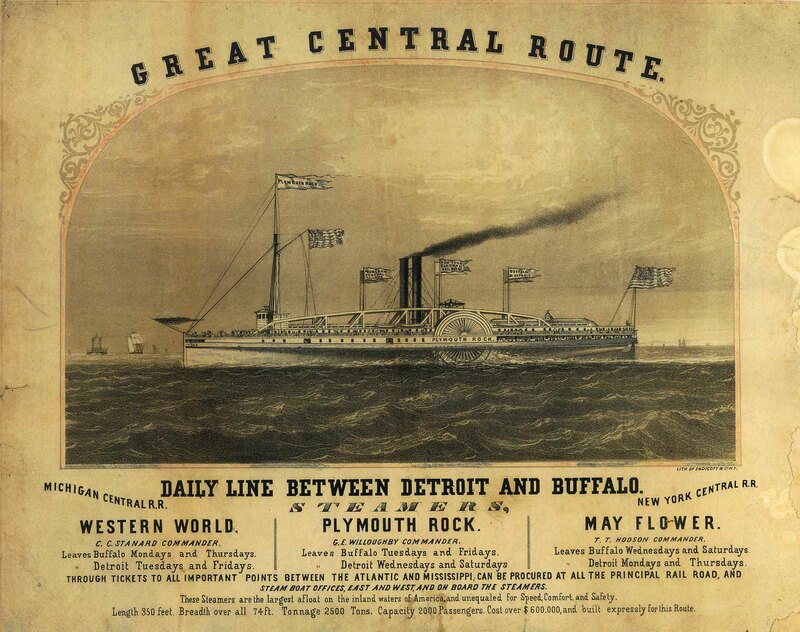 If you have made it this far into the page, you must also be a dedicated Great Lakes maritime history enthusiast! To fund acquisitions for the Steffke Memorial Maritime Collection, Steffke produces high-quality models of Great Lakes ships from all periods of our maritime hertiage. Models representing all styles of vessels can be constructed, with the proper research and documentation. Anything that was found to float (and even some that didn't, for very long) from the first steamship on the upper lakes, the Str. "Walk-In-The-Water" to the ill-fated "Edmund Fitzgerald" and everything inbetween have been made. Request a quote to commission your own custom-made model for your own collection. His base of customers come from all walks of life and include Artists, Marine Historians, Divers, Preservationists & Underwater Archeologists who are researching vessels, advanced collectors, and families wishing to commemorate a nautical career, have ordered models from "the Old Shipbuilder". In addition to making models, Steffke can provide Letters of Opinion, or Full Appraisals of Value, along with restoration services for antique ship models or models that just need a good, thorough cleaning. If you are interested in a vessel model or are researching a special ship of your own, please contact us. We are always interested in acquiring important documents and other archival materials if they reflect the scope & mission of the collection. Finally, if you are a member of an Historical Society or other group that wishes to have an entertaining and informative speaker, Steffke can be scheduled to present any number of different Power Point presentations, using materials from the collections, that he has put together. Recently presented titles include: "On the Ways In Wyandotte - a history of the pioneer iron shipbuilding works at Wyandotte, Michigan", "Great Ships from Great Lakes - a history of the Great Lakes Engineering Works", "Detroit River Disasters and Great Lakes Losses - maritime mishaps along our shores", "The Great Lakes Goes to War! - maritime military, mishaps and mass production". Programs can also be developed to meet the needs of a particular group or to commemorate a particular maritime event. Whether you are looking for a historical lecture or annual banquet speaker, consider contacting us for your program needs! It is Steffke's goal to ultimately house the The Steffke Memorial Maritime Collection, as it continues to grow and expand, in a facility devoted to the region's maritime history. Eventually, it is hoped that a Downriver Maritime Museum, can be established and dedicated to preserving the memory of these important former industries, activities and personalities so closely tied to the development of the Detroit River region.